You never know just what we'll see! California, Here We Come!!!! – That’s what you hear headed down Buena Vista Street toward Carthay Circle at Disney’s California Adventure, multiple times a day. Ok, so that’s not exactly how it happened, but it does make for great show. 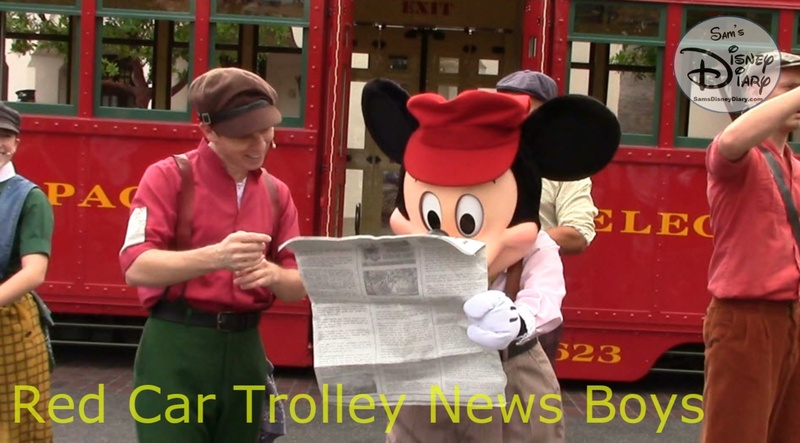 Like the Five and Dime, the News Boys have been a part of Disney’s California Adventure since the re-dedication in June of 2012. With Carthay Circle Theater as the backdrop, the show drops us right into the 1920s, well 1923 to be exact, when a young Walt Disney arrived with his suitcase and a dream. The show’s theme fits perfectly into the 1920s influenced Buena Vista Street. The inspirational show is all about following your dream, with an original song, Suitcase and a Dream. With 1920s inspired classics, the show is a perfect distraction from the hustle and bustle of the park. Check your times guides and be sure to keep an eye out for Mickey himself, as he proves that he has what it takes to make it in Hollywoodland. 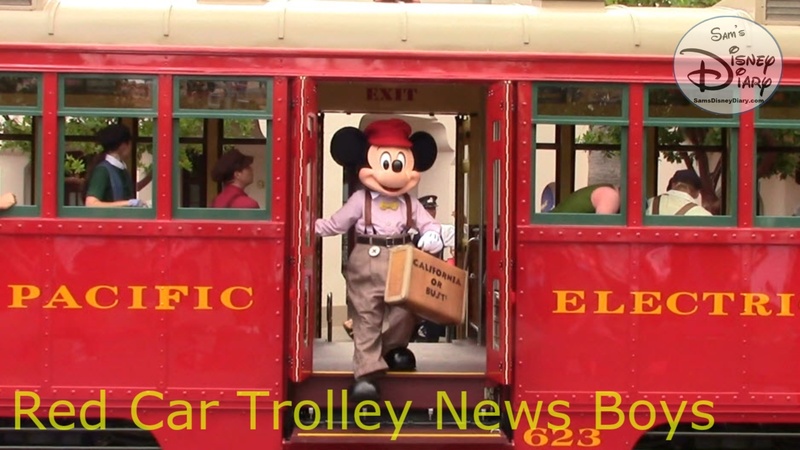 This episode is the full version of “The Red Car Trolley News Boys” from Disney’s California Adventure – be sure to subscribe for all of the Episodes! #114: Pixar Parades… Disneyland, DCA and Hollywood Studios? !